This 12th century church, given a Gothic makeover in the 13th century, contains the relics of some important people. Chief among them is Pieter Bruegel the Elder, the Dutch 16th century master painter. The other relics are of Saint Boniface of Brussels and Francois Anneessens who was a guild leader civil rights campaigner executed for voicing his opinions. You’ll find a statue of the latter in the Chapel of the Holy Sacrament. The church’s architecture is notable for the distinct transition in styles from Romanesque (transept and choir), to Gothic (the rest of the church). Buses 86, N04, N05, N06, N08, N09, N10, N11, N12, N13, N16 stop Cesar de Paepe. Buses 27, 48, N12 stop Chapelle. Trams 92, 93 stop Royale. Metro 2, 6 stop Louise. Metro 1, 5 stop Gare Centrale. How popular is Chapel Church? 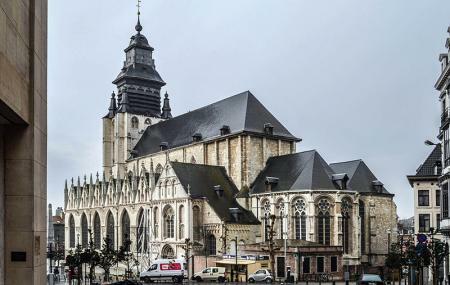 People normally also visit Notre Dame Du Sablon while planning their trip to Chapel Church. Majestically located at one of Brussels fun quarter, CC is a beautiful chapel, and if you go at night, you can find different alternatives of fun life. Very Nice scenery in Brusels. As a tourist, I loved it. Very mighty and enormous building. You feel like in a few centuries before near it. OPENING HOURS BELOW Very beautiful church (don't mistake it with the Cathedra of St Michael and Gudula). opening hours: Monday/Wednesday/Thursday/Friday/Saturday 10-16:00 (Tuesdays- closed) Holy Masses (in Polish) Sundays 8:00/9:30/11:00/17:30 Adoration of the Holy Sacrament between the Masses: 9-9:30, 10:30-11:00, 17-17:30.